It is possible to identify the specie of a snake based on its shed skin. If you happen to stumble on one, you must not in any case pick the shed up with your bare hands, rather, you must wear a glove to ensure or make use of a plastic bag. The presence of a shed skin indicates that a snake has been living within the vicinity for a while. 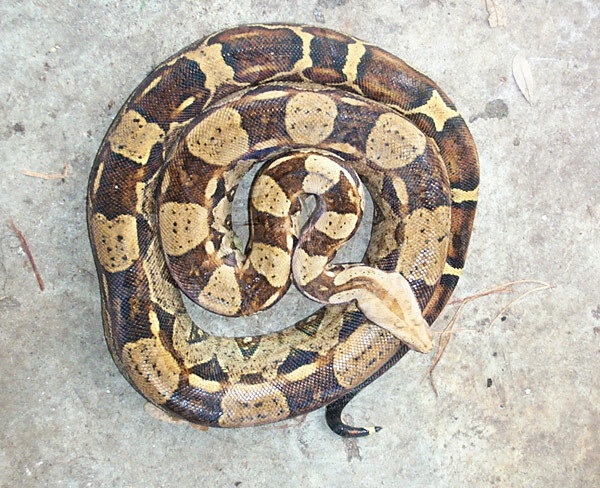 Most snakes often undergo some colour changes prior to the time they shed their skins, for instance Boas and Pythons will generally go dull or darker, while boids will generate lighter colour bellies. You must not pick a shed snake skin because it is believed that between 15 and 90% of snakes carry some strains of Salmonella bacteria on their shed skins, thus you must avoid any body contact if you want to avoid bacterial infection. Shedding skins is not fun for most snakes, because they don’t want to be touched around such times. Most snakes will often get cranky prior to their shedding period, and even if they try to shed their skins in one piece, many snakes will become snappy and they may have patchy sheds. Once you detect the she snake skin, make sure you identify the place where the shed skin is found as such will guide you into detecting where the snake itself has been hiding. Secondly, experts suggest that you check the snake shell skin head to ensure that both eyecaps (spectacles) have come out and if not you will have to remove the retained eyecaps. If you have to get into their enclosure while searching for other parts of their sheds, make sure you don’t handle the snakes with your bare hands, as they become aggressive around such period. Secondly, you should consider making use of snake shell Aid products- you only need this if you keep a snake as a pet and I is finding it difficult to shed its skin in one piece. A typical Shell aid product will contain water, humidifier and emollients and you can sprinkle them on the snake’s body to speed up the shedding of its skin. Fresh snake skins will normally attract mites if not discovered on time, therefore you need to ensure that a snake shell is properly disposed off with the use of a hand glove , into a plastic and inside a waste disposal or bin. Once the skin has been disposed off, then you need to search for the location of the skin, you may call an animal control agency to help you in this case to make it easier for handling. Go back to the How to get rid of snakes home page. If you need snakes help, click my Nationwide list of snakes removal experts for a pro near you.